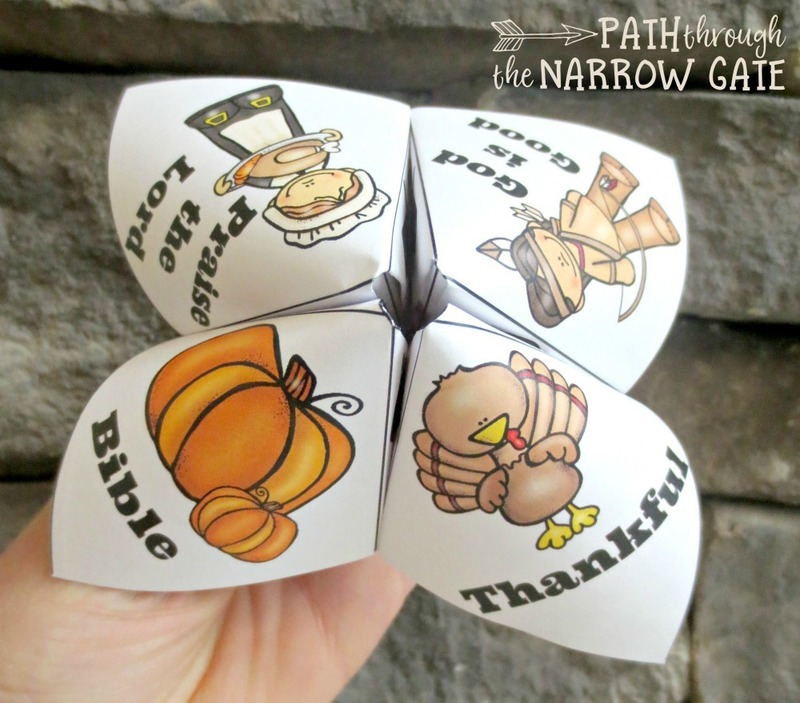 No matter how you choose to use these, the Thanksgiving finger puzzles are simple to fold and fun to play with. They require nothing but the one page printable and a pair of scissors to make. 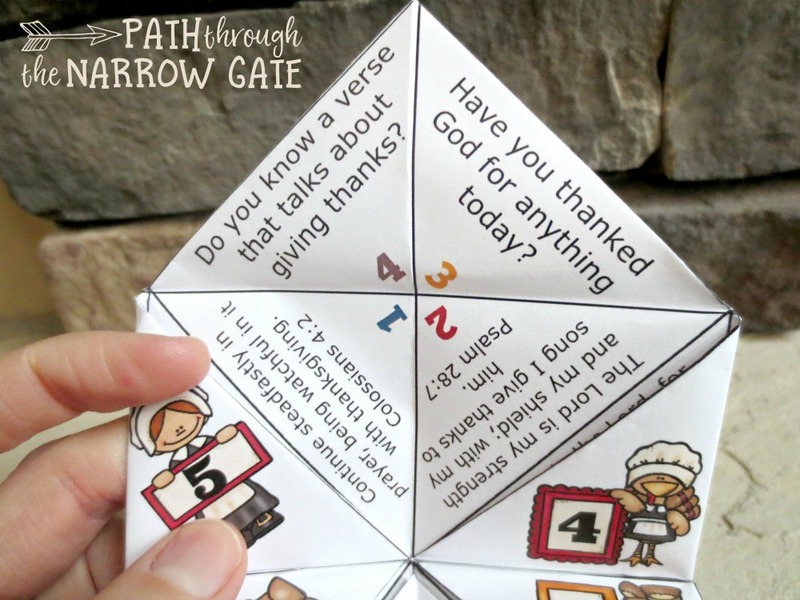 Best of all, your kids will be encouraged to remember the true reason that we celebrate Thanksgiving – to give thanks to God! The exterior of this finger puzzle features short phrases to spell. 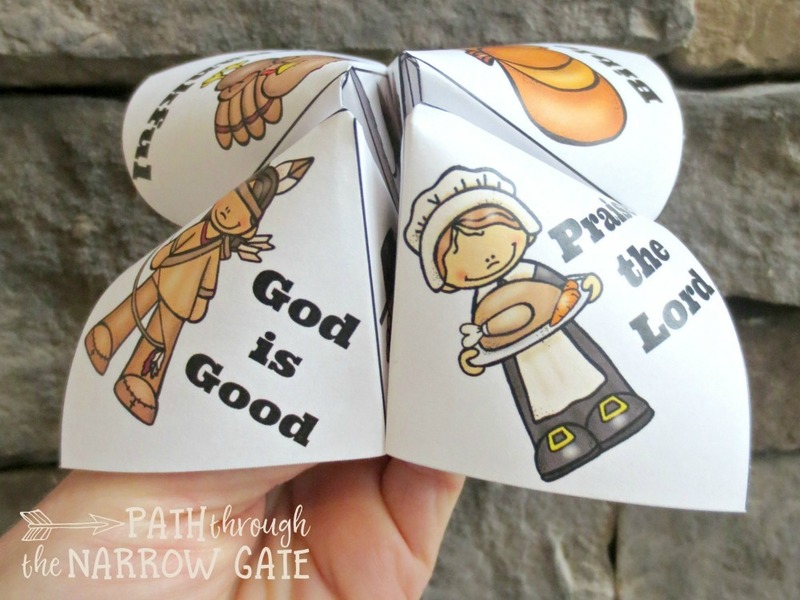 The interior features gratitude questions and Bible verses to read, reminding all of us to praise the Lord for His goodness. 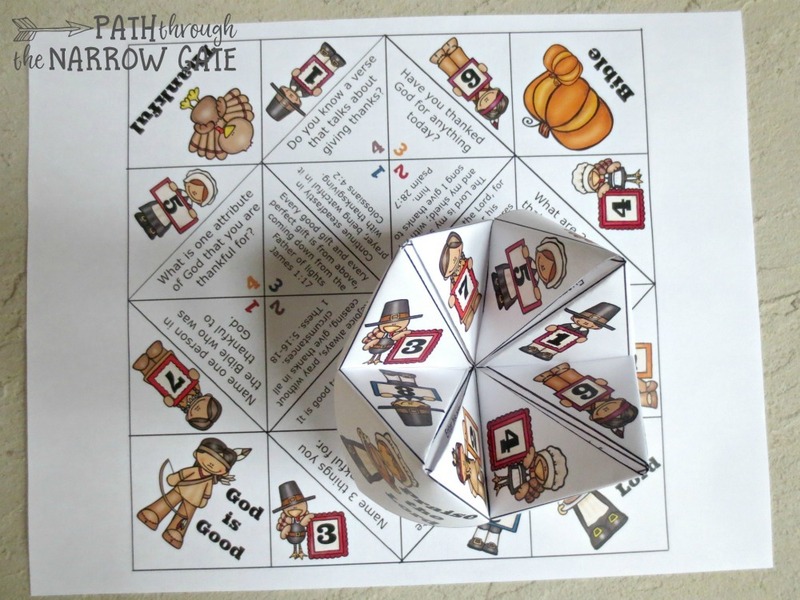 The puzzle comes in three different Bible versions – King James, New International, and English Standard. To play, have your child insert their thumb and index finger from each hand into the flaps in the back. Open and close the finger puzzle in different directions as you spell one of the words from the outer layer. Then, pick a picture from the inside. Open and close the finger puzzle the number of times indicated on the picture you chose. Choose one more image. 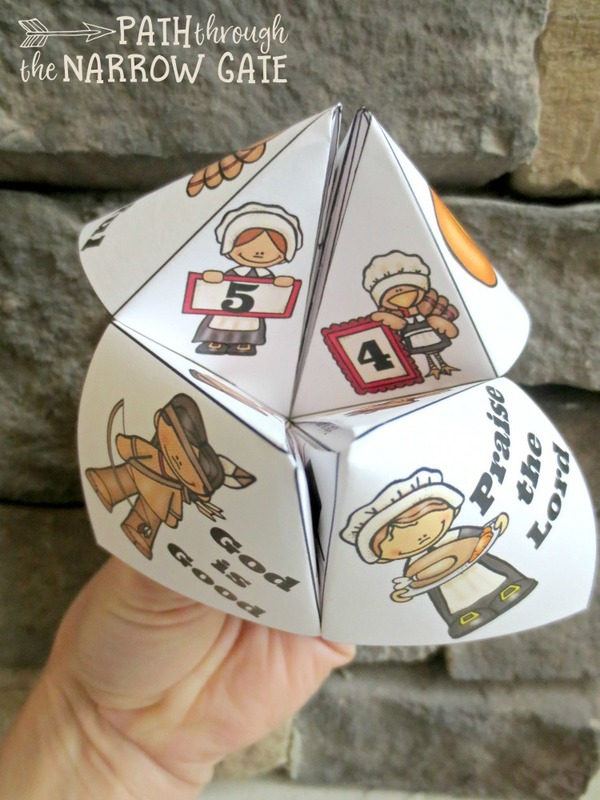 Open that flap and choose a number from one to four. Read the verse or question from the chosen number. Now it’s your turn. 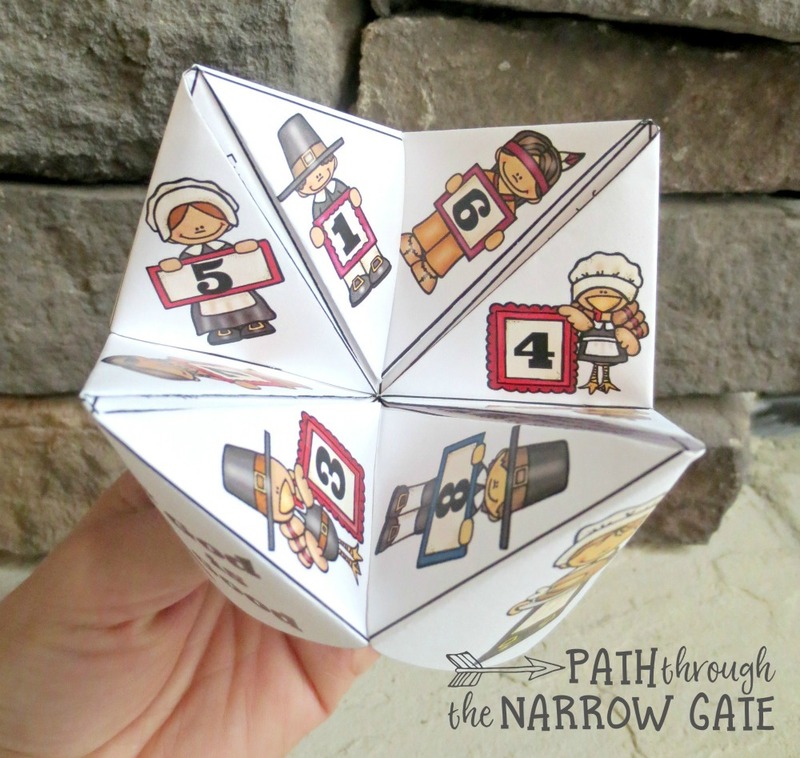 You can get your own printable Thanksgiving Finger Puzzle (for FREE!) by signing up in the box below. I would love to hear how you use this Thanksgiving finger puzzle. Please scroll down to comment.